Mallow Tidy Towns Committee want to greatly thank everyone for coming out last Saturday to clean up Mallow. A really brilliant joint effort took place between sporting clubs, community groups, residents associations, businesses, politicians, clergy, retired people, volunteers and individuals. Many people came out at the start at 10am and more joined in when they saw what was happening and how easy it is to make a huge difference to Mallows litter problem. 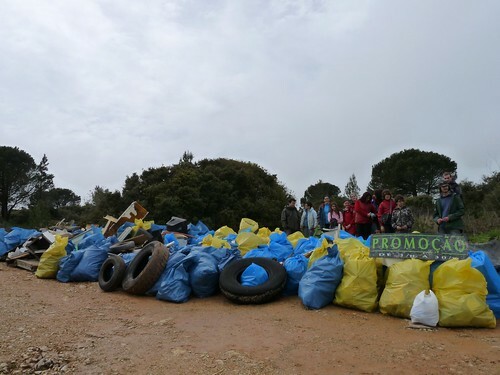 Over 60 people took to the streets, lanes, open spaces and approach roads of our town and hand picked over 300 bags of litter, a massive mount of about 5 tonnes of litter for the Town Council to dispose of today Monday. It was an awe inspiring really really brilliant effort from all who turned out and made a town cleaner on a good day. The people of Mallow really took up the battle against litter last Saturday and proved that when Mallow wants – Mallow can. Mallow went from being a littered town to a town clean to European norms. To stay on top of the problem, as a lot of the volunteers on the day suggested, we will be doing this on the last Saturday of every month and hope people can join in whenever they can. We will all work to get Mallow right up there in the best of the litter free towns of Ireland. Thanks a million to all for the great effort and see you again soon.